A blow dryer is one of those beauty tools you develop a relationship with: the right one can be like a trusty sidekick that helps you out every single day and gets you ready for the world, whereas the wrong can make your beauty routine a daily struggle. Finding the best blow dryer for natural hair can be a very important part of your beauty routine, and because you use it so often, choosing the right one feels like a big decision. So today we’ll take a deep dive into natural hair and blow dryers: we’ll give you some tips on how to pick a blow dryer if you’ve got natural hair, discuss our picks for the best blow dryers for natural hair, and then offer up some helpful hints on how to blow dry your hair—and how to care for it so that it’ll hopefully remain healthy and buoyant. The ​Dyson Supersonic Hair Dryer​, which is almost a re-invention of the classic blow dryer. It’s a common misconception that wattage = heat intensity, but that’s not the case; those are actually two different features. The wattage of a hair dryer indicates its level of blowing power, and blowing power is one of the main factors that actually dries your hair. A hair dryer with higher wattage will usually dry your natural hair more quickly and more effectively than a hair dryer with lower wattage. Higher-end models typically feature higher wattage (and they tend to last longer, too—more on that in a second), and most salons use hair dryers with 2,000 or more watts. Keep in mind, though, that the cosmetologists who work at salons typically use those dryers a dozen or more times a day, so for personal use, a product with between at least 1,500 and 2000 watts is usually enough. So, what about heat? Many blow dryers have different heat settings, and that is, in our humble opinion, a crucial factor to look for in a hair dryer. Heat helps dry hair and it feels absolutely wonderful, but it can actually damage the hair if applied improperly, and that’s why a dryer with different heat settings can be so useful. Here’s how it shakes out: if you’ve got thick, coarse, natural hair, a high heat setting will remove the moisture from your hair when you’re just out of the shower and it’s really wet. That high setting is usually too intense for normal hair, though, and the medium setting is usually a good match if you’re natural hair has “regular” thickness. The low heat setting is specifically designed for people with thin hair, because it provides drying properties without overdrying or damaging the hair. If you’re using the heat setting—regardless of how intense it is—you want to keep focusing the dryer on new locations, so you don’t accidentally overdry/damage sections of your hair, and if you’re working with slightly damp natural hair, you’ll remember that high heat is overkill—you can minimize damage and overheating by using the warm or low setting. There’s one other heat-related feature that a lot of dryers have, and that’s the “cool blast” or “cool shot” setting. That’s a mysterious little function that can actually be very helpful: it’s designed to add a little shine to your hair, and it can provide a little extra hold. The theory is that the cool air closes the hair cuticle after the heat has opened it up, thereby sealing your hairdo and making it shine—and while that works well for some people, in our experience, the “cool shot” feature can be a little bit tricky to pull off—it’s not the most reliable feature in the world. If nothing else, it’s a nice cool breeze at the end of your hair-drying regimen. This may seem like a secondary characteristic, but it’s actually pretty important, because the truth is—unless you’re in really fantastic shape, a heavy blow dryer can tire you out. That’s especially true if you have extremely thick natural hair, and it takes a long time to dry your hair. It’s not just a matter of comfort, though—if your arm is aching halfway through your routine, it can affect your final look, so ideally you’d like to find something that you can use for an entire drying session without feeling taxed. A lightweight product is also ideal for travel, too. Experts usually recommend looking for a dryer that weighs about one pound. That’s usually heavy enough to feature decent wattage and decent heat capabilities, without weighing too much and tuckering you out. Lighter hairdryers are also a good option for travel and for makeup artists who have to drag a lot of equipment around. If you’ve ever tried to purchase a hair dryer, you’ve probably come across some mystical-sounding terms: “tourmaline” and “ionic” and “infrared,” among others. These terms can get a little tricky, but the best blow dryers for natural hair often feature most (or all) of them, so we’ll simplify each aspect, and let you know how and why they’re important. So, there’s a little bit of science behind this, but it’s actually pretty simple, and we’ll give the scientific part of it—and then if that bores you to tears, we’ll give you the “just what you need to know” definition. An “ion” is an atom or a molecule that has an electric charge. Water has ions, and those ions are positively charged. An ionic dryer shoots out negative ions, and those negative ions break up the water molecules in your hair, making the hair dryer more effective. And... that’s it! An ionic dryer shoots out negative ions to break up water particles into smaller fragments. The result is that they evaporate faster, and you spend less time toasting your hair. Tourmaline is a rare gemstone that can be used to coat the inside of the dryer, and it boosts the negative ion output—making it more effective at drying hair. It can also dry hair faster than non-tourmaline dryers, so if time is a big factor for you—and many of us time our morning routines down to the minute—tourmaline may be something you want to look for. Just keep in mind, though, that blow dryers made with this semi-precious material are usually more expensive than those without it. These materials can be used to coat metal heating elements, creating even heat that’s not as harsh as it might otherwise be. They amplify the negative ion emission too, so that hair may dry quicker and with some shine. 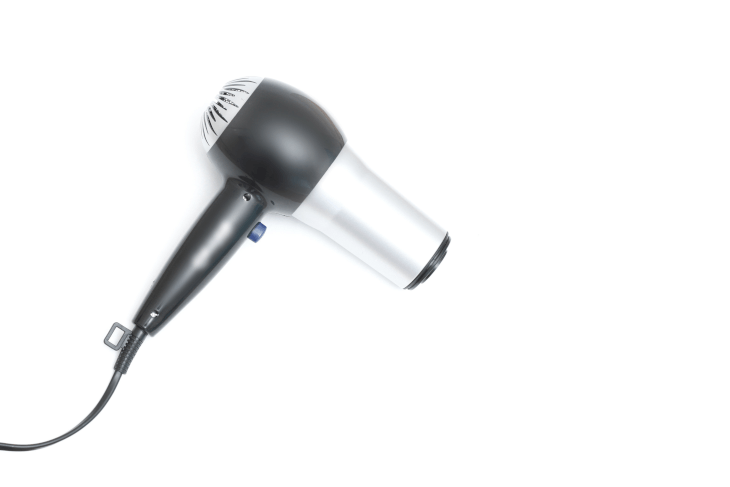 Titanium also helps a hair dryer maintain a consistent temperature, and it’s lighter in weight than ceramic. It’s great for drying thick hair quickly, but it produces higher heat than ceramic, so if your natural hair is thin or fragile, you may want to avoid hair dryers with titanium elements. Infrared technology is kind of fascinating. Regular dryers that don’t use infrared heat dry the outside of your strands faster than the ones closer to your scalp, but infrared dryers do they opposite: they heat hair strands from the inside out, and provide a more “even” drying procedure. If you find that the hair furthest from your scalp is cooked by the time the hair closest to your scalp is dry, infrared may be a nice option. Plus, some are designed to cut down on drying time, so it can be a nice feature if you need to keep your hair-drying routine on the shorter side. These are for ladies with natural hair that some curls in it, or for ladies with natural hair that’s very curly. A diffuser is basically a little instrument that disperses the heat coming out of the dryer nozzle evenly, without overpowering your strands or stretching out the waves in your hair. If you’ve got wavy to curly hair and you want to dry your hair and keep your curls, a diffuser can be a great option. When you want to smooth and straighten your hair, you can use a concentrator to direct the stream of air down the hair shaft, keeping the cuticle flat and preventing the dryer from blowing hair in every direction (and you can also use a comb to gently separate your hair as you dry it, and avoid some tangles). Narrow-nozzle concentrators are great for drying out fringes and fly-aways on hair that’s frizzy, and doing detail work on a particular spot of hair. As a general rule of thumb, wide-nozzle concentrators dry hair a little bit faster, and narrow-nozzle concentrators are a little bit slower. And there you have it! Those are the main features that most dryers will (or won’t) have. 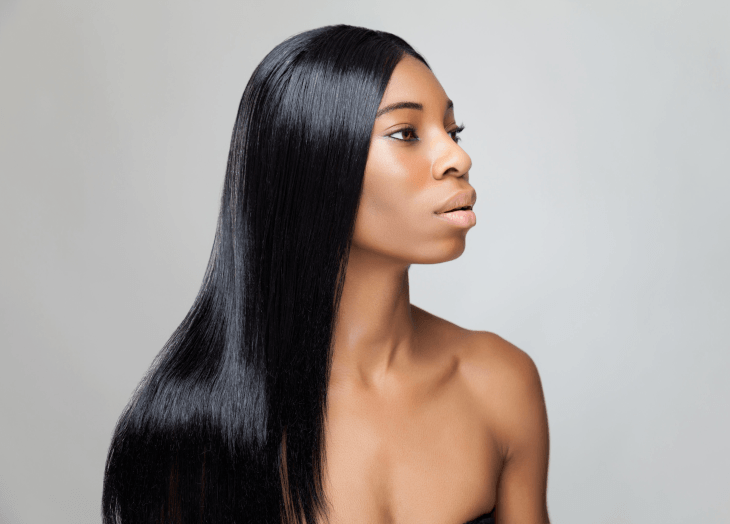 If you’re interested in selecting one, it can help if you think of the characteristics of your hair—is it thin, thick, wavy, curly, and so on—and figure out which features will meet your needs. We’ve broke up our choices into three categories: three “just the basics” picks, if you’re not looking for anything fancy; two “best all-around picks,” and three high-end, super fancy pants options. Our first pick is the REVLON Pro Collection Salon Infrared Styler. PROS: It features infrared technology, which is usually something reserved for “higher-end” models, and is great for drying your hair “from the inside out”; it features tourmaline ionic technology, designed to reduce some frizziness, and hopefully add some shine; and it’s got some nice add-ons, like the diffuser and the concentrator and the “cool shot” button. CONS: It may not be something you use forever; mid-range dryers tend to fizzle out sooner than some of their fancier counterparts. Revlon is a tried-and-true company—they’ve been around since 1932, if you can believe it—and they have a long line of hair and makeup and beauty tool products. Their Pro Collection Styler has some great perks you don’t always see in a mid-range dryer, and we think it’s a great “starter” model if you’ve never gotten a hairdryer before (or are buying for someone who’s new to using one). PROS: Features infrared heat, to cut down on heat damage to individual strands of hair; has tourmaline ceramic, designed to provide a more even flow of heat; it features 1875 watts of power, which is right in that “Goldilocks Zone” of not too much, and not too little; and it also has a retractable cord, which is a nice little feature. CONS: At a little over 2.5 pounds, it’s a little on the heavy side, so if you have a lengthy hair drying routine, it may not be a perfect fit. Conair is another company that’s been around for a while—according to Wikipedia, they’ve been selling beauty products and health products since 1959—and we consider this to be a solid choice. The feature that really sets it apart, in our humble opinion, is that retractable cord—that makes it a lot easier to store (especially if, like so many of us, your beauty counter is a mess of cords and wires), and it makes it a little easier to travel with, too. Our last “just the basics” pick: the Conair INFINITIPRO. PROS: It features infrared heat, designed to warm your hair and dry it from the middle of the hair outward; has ceramic material inside the dryer, to even out the drying process; it has some nice add-ons, including the diffuser and the concentrator; and, lastly, an “ION CHOICE” button, that allows you use the ion technology or not use the ion technology. CONS: This is also a little on the heavy side at 2.3 pounds, and the iridescent coloring on the nozzle isn’t for everyone—it seems like some people will like that, and some won’t. That name is pretty intense, isn’t it? The INFINITIPRO! Either way, we think this is another good option that has a lot of strong features, and our favorite is that “ION CHOICE” button. That’s an interesting option, because as we describe in the “How to Choose a Blow Dryer for Natural Hair” section, ions speed up the hair-drying process—but sometimes you may want to option of slowing that process a little bit, so you can keep a little more body in your locks. BaByLiss is another company that focuses solely on hair care products, and we like their BaByLissPRO Ceramix Xtreme Dryer. PROS: Perhaps the most striking feature of the BaByLissPRO is the high wattage: at 2,000 watts, it’s a little more powerful than the average blow dryer for natural hair, and that makes it a good match for very thick hair and/or very long hair. It’s got some kick, and it’s designed to dry hair quickly. The other features are what we’d expect on a higher-end dryer—ceramic technology, infrared heat, and a concentrator nozzle—are all excellent pluses. The other thing we like about this model—and this isn’t the biggest deal in the world, but it drives some people nuts—is that actual nozzle of the blow dryer is a little shorter than many of the other blow dryers we’ve seen/used. If you hate holding your arm far away from your head when you’re drying your hair, that shorter nozzle can be a fantastic feature. CONS: It can really whip your hair around—it’s strong! You might need to get the hang of it, especially if you’re used to weaker blow dryers (or a blow dryer that you’ve had for many years, and that may not be as powerful as it once was). BaByLiss actually sells a number of different blow dryers, ranging from “just the basics” to “really, really fancy,” and we think this is one of their best mid-range options. They actually have a high-end model that we really like, and we’ll talk about that in a second. The BaByLissPRO Nano Titanium Portofino actually gets our vote for best blow dryer for natural hair, and it’s got a lot of the features you’d hope to see on a quality hair dryer. PROS: With the 2,000-watt motor, it’s a salon-style dryer, designed to dry hair quickly and effectively. The titanium is used to distribute heat evenly, and that’s a definite plus—lower-quality dryers can disperse heat sporadically, leaving the hair with a slightly different look in different places. Perhaps our favorite aspect of the Nano Titanium, however, is its focus on removing static: each aspect of the dryer is designed to remove static and frizz, and make hair a little bit softer. Your results may vary, of course—everyone’s hair reacts differently to different products—but that focus on removing static and making hair softer and more pliable is the mark of a very good hair dryer. CONS: It would be nice if this came with some add-ons, and a diffuser would be nice. We imagine that the six settings are meant to be a substitute to the diffuser, but sometimes it’s nicer to have that option. We’re big fans of BaByLiss, and we like that they offer a wide range of products—we think this is one of their best. PROS: It’s pretty quiet! That’s a fantastic, and it can be a great thing if you’ve got roommates, a family, or simply hate that drone that most hair dryers have. Lower-tier blow dryers tend to cover for an imperfect design just by blowing harder—because after all, the force of air on your hair will dry it—and that makes them pretty loud. A higher-end dryer that’s made with an intelligent design can rely on its features—instead of force—to dry hair, and the BIO IONIC combines nano-ionic hybrid mineral technology and infrared heat, in an effort to seal cuticles, decrease frizz, and actually hydrate hair, by allowing water molecules to penetrate the hair follicle. The other feature that stands out is that even though it’s got a lower wattage than many other high-end models—it uses 1,400 watts, and that’s 600 watts less than most other high-end, salon style dryers—it’s still very effective. That allows it to be a little more quiet than other models, but doesn’t rob its ability to dry and style hair. CONS: The Bio Ionic can be a little bit delicate, and you it may require a little TLC. If you’re the type of person who goes really hard on beauty equipment—dropping it, banging it around, and so on—you may want to look at a sturdier model. And it has a cord. That’s not a big deal for many people, and a total dealbreaker for others. Depends on your preferences. PROS: It has an incredibly consistent heating mechanism, so that you are able to maintain a distinct amount of heat when drying your hair—and in fact, the temperature of the air is measured 20 times each second (!) in order to maintain that heat. Not only that, but the heat is delivered at precise temperatures: 212 degrees at fast-dry setting; 176 degrees for regular drying; and 140 degrees for gentle drying (as well as a cold burst setting, at 82 degrees). We don't know of any other dryers that deliver heat at such precise temperatures. The other thing that immediately sticks out is the shape: it’s smaller than the average blow dryer, and that’s a great feature if space is an issue for you (or if you just dislike holding larger blow dryers during your beauty routine). It does, however, have the attachments we’d hope for, and when the smoothing nozzle, concentrator, or diffuser is attached, it looks like a typical blow dryer. Lastly, it’s quiet, and it doesn’t sound like a regular hair dryer—it’s almost like a white noise machine (and you can check out videos on the dryer on YouTube if you want to hear the sound it makes—there are plenty). That’s another bonus—some hair dryers are so loud that you can’t talk with anyone around you, but this one is definitely on the quiet side. CONS: It’s hard to imagine that a model like this would have some negatives, but it’s not perfect! It’s got a cord, which drives some people crazy—some people just prefer cordless beauty tools, and we get that—and while it’s nice having three distinct and reliable blowing temperatures, sometimes it’s nice to have more options, and there are plenty of dryers that feature five or more temperature settings. The guy who started the company that makes these blow dryers is Sir John Dyson, and he’s a really unique character—he’s invented new vacuums, hair dryers, hand dryers, and washing machines, and he doesn’t seem to make new products, as much as re-invent them. We give the Dyson two thumbs up—it really is an incredible re-imagining of what we usually think of as blow dryers. 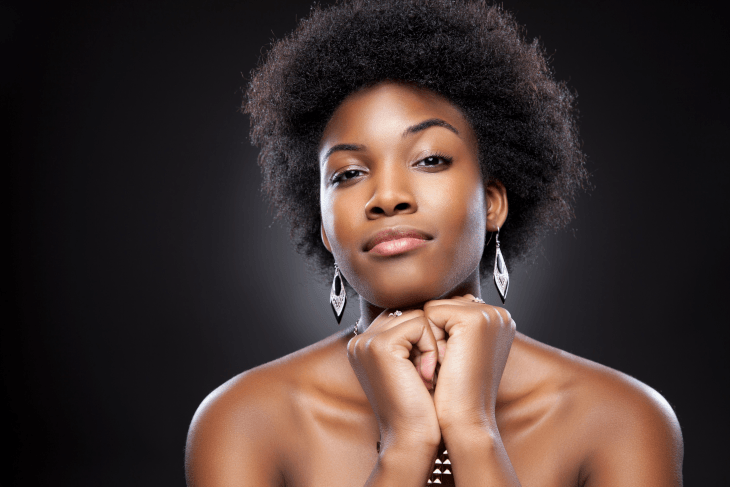 Even though natural hair is often quite thick and lustrous, it can be—somewhat surprisingly—a little bit fragile. Curl patterns and loose cuticle layers can dispose your locks to breakage, and the areas where the hair bends are narrower and more likely to break when you’re brushing them. Curly hair has a lower water content than straight hair, which is why it might appear dry and frizzy. So, take it easy. Use a gentle touch when styling your hair, and take your time. Don’t go too heavy on the heat, and make sure you don’t hover too long in a single area. After a shower, soak up the excess water. Many beauty experts recommend using the t-shirt trick: instead of making a turban with a terry cloth towel, which dries out your hair and makes it break, pat your hair with a cotton shirt. Don’t make the hair dryer do all the work, in other words. Not only will your hair look better, you’ll save time, and you’ll extend the life of your hair dryer. Gels or hairsprays that make your hair stiff should not be used before blow drying; cream, serum or mousse can be a better option. Avoid using natural oils before blow drying because they can burn your hair when they’re heated up; save those for taming your hair once it’s dry. Lastly, consider a head protectant before blow drying natural hair. It’s an extra step, and it can slow you down a little bit, but many offer a little bit of defense from what is—let’s face it—the not-so-natural experience of blow-drying your hair. Chances are, you’ve known this since you were little, but it’s worth repeating, because some of us get lazy sometimes (OK, fine, we get lazy sometimes): you need to detangle your hair before you blow dry it. You can do this before you add any product to ensure that the styling lotion or heat protectant goes on evenly, and you can use a detangling brush or comb that’s designed for curly hair to minimize breakage. Very often, this can be a nice, quiet time during your routine, and you can kind of zone out a little bit. The best heat setting is the one that gives you the look that you desire. You’ll need to do some research and find out what works for you. Some people need to use more heat to get their natural hair straight. Just make sure you’re not overdoing it, and burning your hair so that it’s hot and brittle. Some women do really well with a “divide and conquer” strategy: before applying styling product, section your hair into six or eight chunks using your fingers, and then twist each section and secure it with an alligator or butterfly clip to keep it wet while you work on the other sections. When you’re ready to move to the next section, remove the clip and detangle with your fingers. Add styling products and comb them through the section. Aim the hair dryer at that section until it’s dry, then move onto the others, working toward the back of your head. This definitely adds a few minutes to your routine, but if you’ve got a big event and you want every hair on your head to be glamorous, it can be worth it. Just make sure to practice the method a couple of times before you try it—you never want to try something totally new before a big event! If the ends of your hair end up tangled by the time you put away the dryer, you might want to start by tackling them first. If you do this, use a low or moderate heat setting, and hold the hair securely with the brush as you aim the dryer down at the hair shaft. Move up section by section until you reach the roots, where you can use a warmer heat setting. If you do decide to tackle your ends first, just remember where you started, so you don’t end up doing the same section twice. Diluting your shampoo with 50% water. Shampoo can strip away the natural oils that protect your hair, and if you find that your hair looks a little bit dull or lifeless, you may be washing it too frequently. Use conditioner only. If you need a quick lift, you can reach for the conditioner—but be sure to concentrate it on the ends of your hair, so that it doesn’t weigh down the roots. You can even make conditioner a part of your routine, and use a leave-in conditioner on days that you don’t cleanse your hair. If you do use conditioners… Use conditioners with light oils. Thick ingredients, like lanolin, coat the hair shaft and weigh it down, but lighter oils—like coconut oil—can penetrate the hair without being too weighty. It can prevent your strands from absorbing water and swelling, and it can add a barrier over the cuticle to keep it smooth and shiny. Detangling: a wider brush with sparser, flexible bristles can be a very helpful tool. A good one should be able to de-knot some of your hair, and do so without damaging individual strands. Take it slow. Smoothing: A tighter brush with stiffer bristles will be able to work the last of your tangles out, and provide a little silkiness. Just as you would during the detangling stage, take it easy and take your time—rushing can damage your hair (and your skin! ), and it can hurt. No matter what those TV ads tell you, you can’t mend split ends. You just can’t. Once your hair is split vertically, it will continue to break along that line until the entire strand is divided into two. The only way to truly get rid of split ends is to snip them off below the split, and nobody wants that. So, prevention is key. You can keep split ends from occurring by using sharp shears to trim your tresses, reducing the amount of heat styling that you do, deep conditioning your hair regularly, avoiding excessive chemical treatments, using proper detangling tools, avoiding terrycloth towels, and, finally, protecting your strands from the sun.